1903-1965, sporadically used in the years that immediately followed. 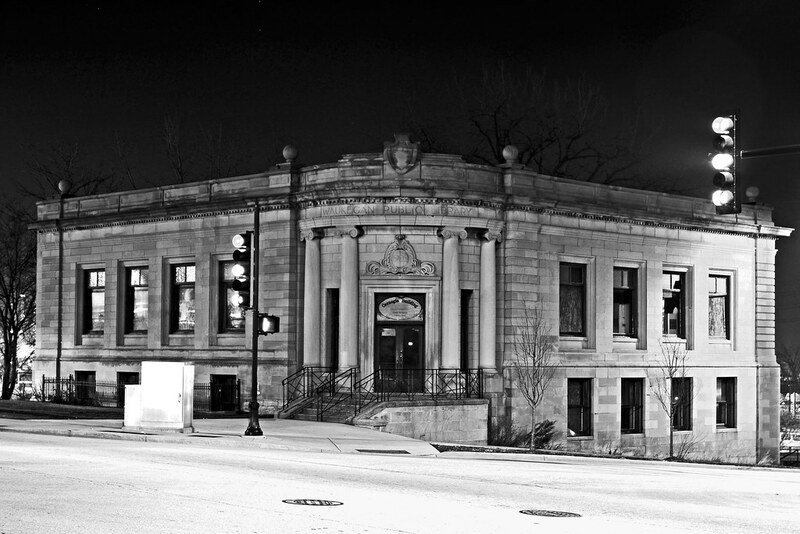 Unique Carnegie Library built on a bluff, featuring a corner entrance on its uppermost floor. Famous as a childhood hideout for Ray Bradbury, who helped fight for its preservation when threatened by demolition in the 1980s. Despite this, today its future still looks pretty grim.